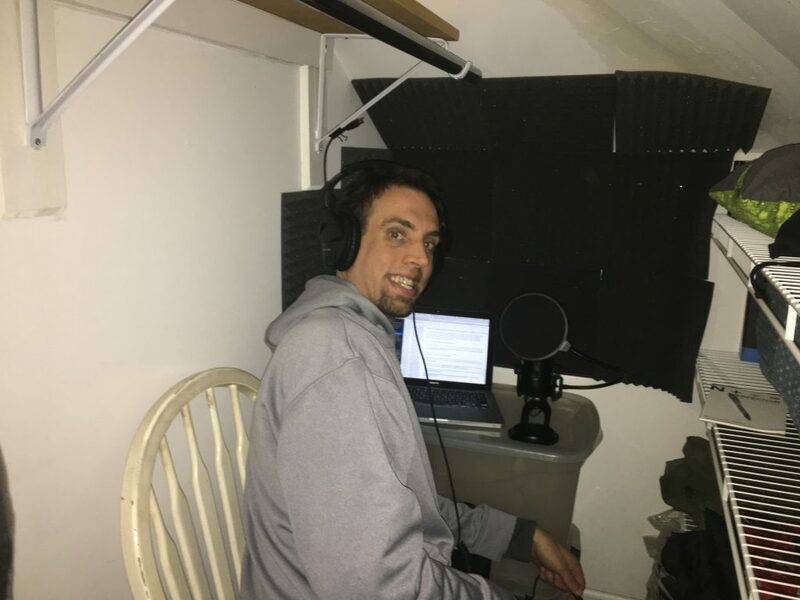 Derek in his podcast studio cave closet...new and improved! Derek in his podcast studio cave closet…new and improved! I promised a picture… note the studio foam, fancy mic, and new studio headphones!